Let the Series Begin: PillartoPost.org has exhausted its coverage of the world’s largest Ferris wheels and instead redirects its resources to ice cream. For the near future P2P staffers will be traveling to taste and report on ice cream from shops across this great land. #1 WHITEY’S ICE CREAM, Moline, IL. 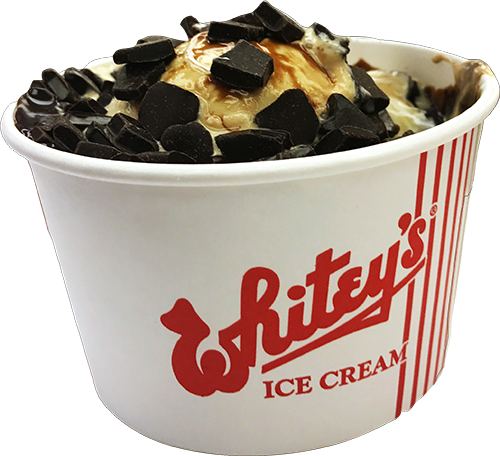 Whitey’s Ice Cream was established in 1933 in Moline, IL by Chester “Whitey” Lindgren, who received his nickname due to his white-blonde hair. Whitey hired Bob Tunberg at 15 years old and over the years Whitey and Bob became close friends, eventually leading Bob and his wife, Norma, to purchase Whitey’s Ice Cream in 1953.
to taste Whitey’s Ice Cream. 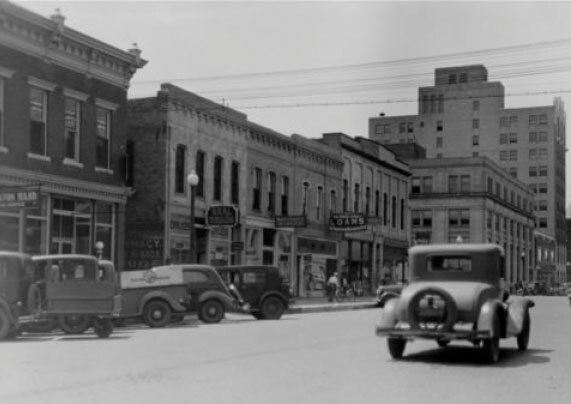 During the day, Bob and Norma would make the ice cream and at night would work in the store located on 16th Street in Moline, IL. Their sons, Jeff and Jon, joined the business when they were old enough and started picking up trash in the parking lot before they went to school each morning. Jeff and Jon were given the opportunity to work with and observe Bob throughout the years, giving them a strong sense of customer service and teaching them the true value of hard work. Today, Jeff and Jon serve as Co-Owners with the title of President remaining vacant to honor their father who passed away in 1991. 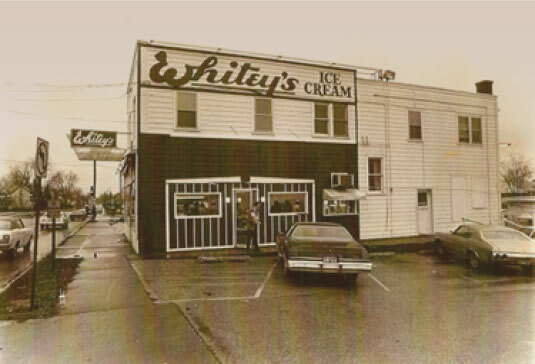 Whitey’s Ice Cream remained a one-store business until 1977, when a second store and larger manufacturing facility opened on 41st Street in Moline, IL. Continuing the growth of the Whitey’s brand, two stores opened in East Moline, IL and Rock Island, IL in 1982. Whitey’s finally crossed the Mississippi River in 1984 with the opening of a store in Bettendorf, IA. Since then, additional stores have opened in Davenport, IA, Coralville/Iowa City, IA and Eldridge, IA. Whitey’s currently has 10 store locations in Illinois and Iowa. 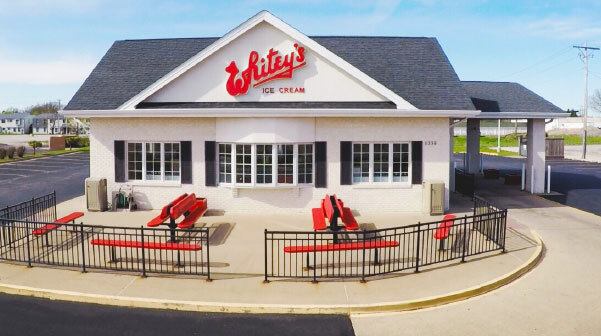 Since 1933 a number of innovations to the industry were born at Whitey's Ice Cream, including high powered malt machines in order to make extra thick shakes and malts, candy bar shakes, Splenda® sweetened No Sugar Added ice cream and chocolate chip cookie dough ice cream, to name a few. Over the years, Whitey’s Ice Cream has received a number of accolades including being named “Best in the Midwest” according to the readers of Midwest Living Magazine, being voted one of “Best Ice Cream Shops in the World” by Conde Nast Traveler readers and being selected as the “Best Ice Cream” in the Quad City Times Reader’s Choice Awards time and time again.